Northern Lights is probably the single most well-known indica strain in the world, and with good reason. It grows well, produces high yields and its flowers have THC contents that range from 16 percent up to 21 percent, making it one of the most economical strains out there. While it probably originates from Washington state, these qualities made it popular among growers and soon it spread across the medical marijuana-consuming world. A classic indica, it produces a happy, sleep-inducing effect that makes it one of the most effective strains of marijuana for stress on the market. It’s well known for not being overwhelming, either. In fact, Northern Lights has a reputation for being an incredibly relaxing indica strain. On top of relieving stress, Leafly rates it highly effective for relieving pain and managing depression. Its three-pronged action – relaxing patients after use, making them feel happier and inducing sleepiness – make Northern Lights a good choice for people who need help sleeping. It’s also known for having a pleasantly earthy and piney flavor. 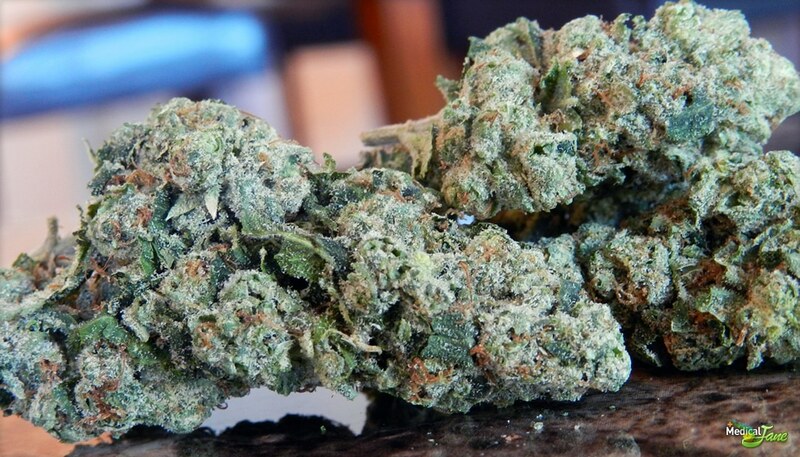 Unsurprisingly, Northern Lights is one of the most popular marijuana strains on our menu.